InterNations Warsaw kindly invite you to join this special dining event (pre-payment required – see details below). A French evening awaits you where you can enjoy French cuisine and wine while listening to Gants & Sava Band in the magical atmosphere of Winsky Bar on the Wisla side. 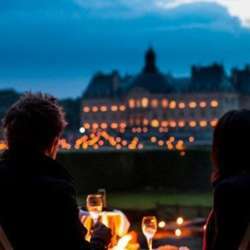 Included in the price is two glasses of French wine, hot French starters, a main dish, live French music, and more! This event is open for everyone, basic members too, so feel free to invite your friends and loved ones.